A record month in terms of my Net earnings after expenses. I managed to just sneak over the $5,000 level for the first time. I really can’t quite believe it. Following a large drop in traffic in December and the fact people usually don’t spend as much in January, I had been expecting a huge drop in earnings. I WAY underestimated. Perhaps I am just a little out of sync, because easy indications are that February will be a lower month for me. It was very much helped by a big sale at one of the affiliates I worked with that brought in a lot of sales in January but does show that this level could be achieved. 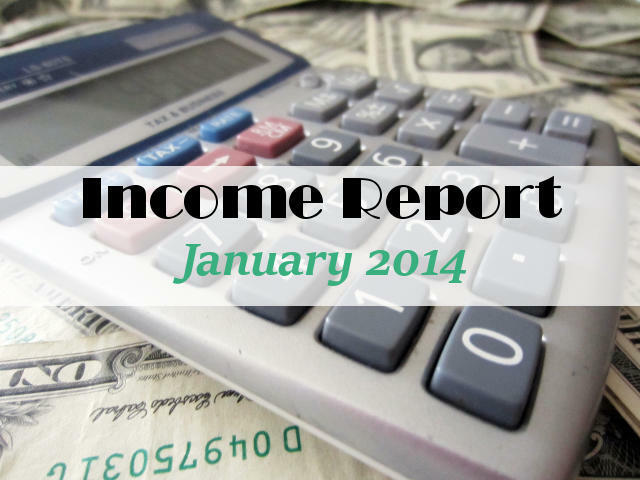 The New Year is always a good time to look back as well as forward and my earnings in January 2013 were just $89.28. That’s a pretty good indication of just how much my site has grown. But its not just that, as time goes on, I have become more aware of monetizing options and opportunities and can just make slight tweaks in content and articles to give myself a higher click through rate. 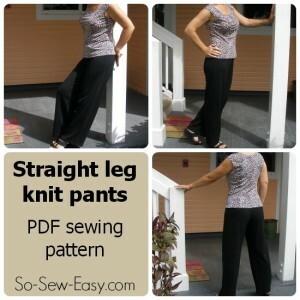 Sewing pattern sales – wow, the pattern I released in January went really well. The pants pattern went straight in to the Number 1 position on Craftsy for the top selling pattern and held in the top 20 on and off for about 10 days. Clearly that was filling a gap in the sewing pattern market. I’m also hopeful for the February pattern release for the Cowl Neck Top – it has excellent feedback from pattern testers and I think this could be a winner too. I’ll also be introducing a Sewing Pattern of the Month Club towards the end of February which will enable readers to sign up and get all the patterns for this year for a bargain price. Not sure on the take up for this because its a lot to ask people to pay for something when I haven’t even yet decided what the patterns will be myself! I also got record numbers of downloads for my free sewing patterns in January – almost 10,000 downloads, following a couple of features on a big sewing community Facebook page. That helped me to increase both page views and my mailing list. I’ve also got a contract with a website that sells PDF sewing patterns and they’ll be promoting my patterns on their site too. There is a lot of competition there from the very best independant pattern designers so I’m not sure how much this will add, but it certainly won’t do any harm. Blogger to WordPress Transfer E-course. Despite several promotions and giveaways, and lots of great reviews from those who have taken the course and moved their sites successfully, sales of the course are still disappointing. Promotion or marketing is not one of my strong points, I just don’t know how to sell! So I’m uncertain about the future of this course. I put in such a lot of work that I don’t want it to just languish there until the content becomes out of date, but at the same time, I don’t want to engage in too much paid promotion without knowing I’ll get a return. Perhaps I should just stop trying to charge for my work and just give the course away for free. I know there are so many bloggers who could benefit – I just need to find them! Everyone loves free content so maybe by giving it away, Karma would bring me income by another route. I’ll think about it. Mailing list subscribers – In February my mailing list numbers went over the next upgrade limit which means I now have to spend out $42 a month for my newsletter. That’s a lot of money! I need to come up with some ideas about how I can get these newsletters to pay me back that $42 a month, so that will mean including either sponsorship or other advertising in the newsletter, probably as a number of adverts at the bottom. Website set up My free website set up service is still suspended. Still waiting to hear from the hosting company after a change regarding customer payment left me out in the dark. I’m still chasing for a resolution but think if it doesn’t get resolved this month, this project is dead. What a shame – I loved setting up new sites and getting new bloggers on the web, but I can’t open myself up to the potential of those bloggers being able to use my Paypal account for their future renewals. Otherwise, not much to report. Things are ticking away nicely, the Setting up Shop Series is underway on the site which many of you asked for last time. I’ve got a couple of guest bloggers lined up to bring some fresh content and ideas your way, and am always keen to hear from you if you would like to write for Moms Make Money. I’ve also recently been interviewed as part of a series on another site and am looking forward to how that reads and if I get any visitors to my site as a result. Anyway, enough about all that, and let’s get down to the actual detail for January. Mad Ads – $3.60 These are going – more about that debacle next month! No specific targets for Moms Make Money, but I am working hard on promotion for the Sewing Site and have some ideas to bring in more Facebook fans and hopefully increase my traffic and new followers. That’s what I’ll be mostly working on for February and my target will be a record month for page views and a big increase in Facebook fans. I’ll also be reviewing the advertising on Moms Make Money after repeated click-bombing on my Adsense adverts, and I need to protect my account. I think I’ll change up the sidebar in the next week or two. ‹ How to set up an online store front – Setting Up Shop Series	› What is your site’s REAL bounce rate? I know you’re British so you could always join the UK Bloggers Facebook page – anyone living in the UK or any UK expats can join and a lot of our members have been talking about transferring to WordPress but are too scared to do it on their own. Thanks for the suggestion Bex. I have applied to join the group. I’ll be happy to offer it to the members and look forward to being able to help people make the move. Wow! I have been blogging for 5 years have decent traffic and have never made more than $500 in any given month and that is with sponsored posts. My Amazon and AdSense are pennies. My other affiliates are useless. I need to learn from you. I’d be so happy to do $1000 a month consistently. I stopped over from the Whatever Goes Wednesday linky. There is lots of info all over the site about what works for me, although it might not work exactly the same for you, but it will be a start and give you some ideas and inspiration. I hope it works out for you. i still dont know how to make money from share a sale. help me friend. Send me an email Chrissy. Tell me the merchants you are signed up with, send some examples of the posts you have written promoting affiliate products, tell me details about your traffic and readership, where they mostly engage with you, whats most popular on your site etc and I’ll see if I can give you some pointers or suggestions. If you can be more active by using merchants affiliate programs directly I think you will perhaps be more focused and more successful. You would also then get access to special affiliate offers and banners etc by registering with the merchants either directly or via their network such as ShareASale, CJ.com and others. To be honest, I HATE viglink. I used them myself, but then found that they were actually re-writing my existing affiliate links to their own account with ShareASale, even though they had assured me this was impossible and would never happen. Despite having proof and the support of ShareASale they continued to deny it over and over again. Despite removing the plugin, it took me months of going back and forward with them until eventually they told me how to remove the final pieces of hidden code that were re-writing my links. I have no idea how much income I lost as a result. 2. commission rate. These are two things, how can we related both and write an article. Since there are a number of sites which offer 20% commission or more so should i write a post keeping the comm. rate in mind or should i just write a keyword researched post and then add products to it? I am bad at affiliate marketing so i am asking you this. You should write your post primarily for your readers and what they are interested in. If you are trying to engage them, then the subject and content will be important, and less so the keyword value. You can save your keywords for other posts than bring in search engine traffic, not every post needs to be keyword optimized. With regard to commission rate, its better to focus on the right products than it is the rate of commission. I once tried to promote this great offer on business cards – I had a killer discount coupon and a great commission rate, but not a single person clicked through. Because none of them were interested in business cards. So its more important to get the right product and write the best article which showcases it. 3 sales on a 10% commission product are better than 0 or 1 sales on a 20% commission item that doesn’t fit quite so well. WOW! That is awesome, Deby! I am still trying to figure things out in the small amount of time I have. I have to manage my etsy shop and craftsy so those take time and I have a family, too. I need to go back and review your info on selling patterns on your blog or website and start doing that – my goal for the next week. Yes, finding the time to do everything you have planned is the biggest challenge of all! Good luck with it Kimberlee. You are doing so well! I haven’t had good results on Share A Sale and I’m wondering why. You obviously have the touch. Got any pointers? It all comes down to the merchants and products you choose to promote, how you promote them and how they fit with your niche and what your readers would be looking to buy online. You have to write your own ‘sponsored posts’, featuring those products or merchants as the focus of the post, and showing your readers why its so awesome, and they might want to take a look at the site/buy something themselves. It also comes down to click through rate, and number of clicks. You need a big enough reader base to generate enough traffic, to generate a few clicks, and then only a few of the clicks generate sales. It’s a volume business for the most part, unless you are selling very high end or very high commission products. Well done you on breaking the $5k barrier, I’m still working on that one! Just a thought about your blogger to WP course – I think it is a definite need among the mom blogger community where many start out with blogger and then need to move to WP when they decide to make it more of an income stream than a hobby blog. Sometimes it’s just about being in the right place to promote it – not necessarily paid. Another option is to give the course away but inside recommend the hosting company and domain agent you use – using an affiliate link – and then you’ll earn commissions from any sales. I just found your site today thanks to the Diana Rambles pin party and I’m now sticking around to see what you can teach me!